- Intel Processor 1.3 GHZ or higher. .PDF files have become the global standard for electronic document sharing and viewing. One of its main advantages is that we can see these files in the same way regardless of what fonts are installed on the PC. This makes them one of the most portable file formats on the network. Another feature impossible to ignore is the difference in size compared to its competitors formats, sometimes reducing to 50%, i.e. a document with the same characteristics may even double in kilobytes a .DOC. Adobe Reader can be used for viewing, searching, electronically signing, verifying, printing Adobe .PDF files and even collaborate on them. On a negative note we have to mention that Adobe Reader cannot edit .PDF documents, because we need the paid software Acrobat. However, if the documents author has certain features enabled, you can highlight text and add comments. 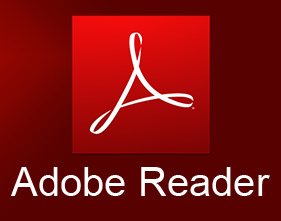 Adobe Reader includs several minor bug corrections and supports new languages. Undoubtedly, an essential software for home and business. Downloads Software informs that Adobe Reader XI should be only used in accordance with the rules of intellectual property and the existing Criminal Code. The inclusion of any keygen, serial or crack is not allowed and disclaims any liability for the inappropriate use of this software.